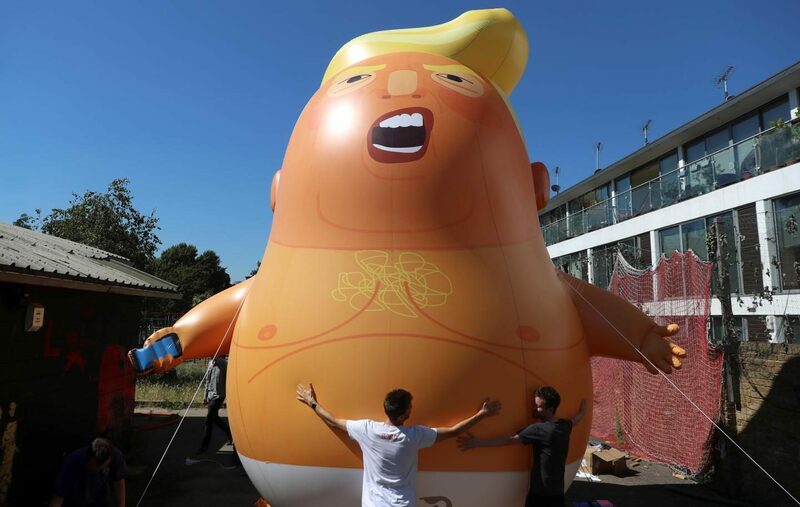 Remarkably, permission has been granted for a 6 metre inflatable, nappy-wearing, perma-tweeting, orange skinned crying baby to fly above parliament when The Donald makes his controversial visit to blighty. As TB prepares for lift off, the babble bags an exclusive chat with one of its creators, friend of the babble, Leo Murray. Sustainababble is your friendly environment podcast, out weekly. Theme music by the legendary Dicky Moore – @dickymoo. Sustainababble logo by the splendid Arthur Stovell. Available on iTunes, Acast, Soundcloud & all those types of things, or at sustainababble.fish. Visit us at @thebabblewagon and at Facebook.com/sustainababble. Email us at hello@sustainababble.fish. thebabblewagon Shoutouts in this week’s episode to Chekki Harlin, @eddiemair , @NckDavies , @davehrdng , @ArthurStovell , @mrjamesob ,@James_BG and more.